There are many aspects of security that governments need to be aware of and be on top of in terms of having control and insight. When a government’s resources can be wasted trying to ban a book, it would be reasonable to expect they have the time at hand because all their other security issues are well in hand. Sadly we know this is not the case. Of all the security issues a government should be dealing with, protecting the borders of a country must be one of the prime concerns. Over the past year or two, border control has become a hot topic globally, where in places like the EU it is harder and more expensive than ever to legally gain entry, but seemingly simple to get in illegally. The same can be said, to a lesser degree, about South Africa. To write an article covering all aspects of border control would require a book, probably many books, so in this feature we limit ourselves to two primary aspects of border control. The first is the issues faced when trying to control long borders where there are an infinite number of places to cross into a country illegally, simply putting up a fence is of limited value, but installing all manner of technology, while it would be far more effective, is far too costly. The second area is one everyone who has travelled internationally is familiar with, that of entry to a country through the normal border controls at an airport or port, for example. Simply getting your passport stamped by a grumpy official doesn’t cut it anymore, but what else can be done to ensure those entering are who they claim and aren’t trying to get through with fake documents and malicious intent? And it would also be better to do it faster without losing control. Building a wall isn’t always the best border control solution. If you have a limited area to protect and you can ensure you patrol that area efficiently, a wall can make a difference. However, you still need to have technology solutions in place along the wall to stop those determined to cross from coming over, under or through the barrier. So, when looking at long borders, adding technology to a wall or fence of some kind is the only real way in which a country can manage and protect the border. Fortunately, today’s advances in security systems make this somewhat easier. Charles Harrison, MD of Secu-Systems explains that the traditional security technologies we use in residential estates or mines, among other areas, while very effective in those situations, are not up to the task when it comes to long borders. One way to manage the area is via military-grade thermal cameras, which can identify people moving over ranges of up to 50 km (depending on the technology and how much you can pay). While the technology is there, it is expensive and requires special licences from the country selling them as well as the buying country (for example, for an American thermal of this type one would need authorisation from the US government to export it and authorisation from the South African government to import it). There are also solutions available that allow for the detection of friend or foe at a distance, allowing control centres or analytical software to easily determine which side detected people are on. Harrison adds that the Panoptes MTI (moving target indicator) software has been used by Secu-Systems with great success in various scenarios where distant intruders have been identified and tracked after they crossed the border line. And tracking is important in border control. Simply recognising an intrusion and dispatching a patrol will seldom result in catching the intruders due to the distances involved. Apart from thermals, Harrison says radar is another option for border security as it allows for long-distance observation. With a ground radar system, the movement of intruders can be tracked over time to allow for effective response. The one potential issue with the solutions mentioned is that of terrain. They work well in flat areas without too many hills and valleys. No radar or thermal technology can see through everything, however. This, according to Harrison, is where UAVs (drones) come into the picture. When fitted with thermal and visual cameras, they can offer surveillance and tracking in any lighting conditions, although the length of time they can stay in the air is an issue. Another option is mobile surveillance solutions that can be driven around to different locations, also equipped with thermal and visual cameras, as well as analytical software. The Kruger National Park is a South African national treasure, but it is also an area many people use to enter South Africa illegally. It is also a hotspot in terms of poaching and other criminal activities. Focusing your resources on these areas will result in more ‘successes’ in preventing crime than randomly trying to control an almost endless border. It’s critical to note that there is no single solution to the border problem. Harrison says decisions must be made according to the location and environment under investigation, its importance in terms of the goals of the country, and then an integrated and tiered solution designed to meet those specific requirements. Of course, most people enter countries at border posts (one hopes), where they present a document such as a passport containing a visa and so forth. As noted above, even this is not a simple identity document anymore as forgers are masters of their art. Today’s border controls require more complex technology vetting both with respect to identity documents like passports and external technology (mixed with human insight). On the legal side, he says states are increasingly required to perform checks against (for example) birth and death records (civil registration). Traditionally, this involved more paperwork, but passport-issuing authorities are already making plans to do this digitally. The work in this area heavily depends on ‘biographics’ like names, dates, locations etc. This is further supplemented by what is being called ‘the social footprint’ (not to be mistaken with social media). For example, if you say you have lived in Johannesburg for twenty years, can you show educational or employment records, payslips, utility bills, etc? On the physical side, the policy, standards and its legal enforcement for biometrics are already in place. 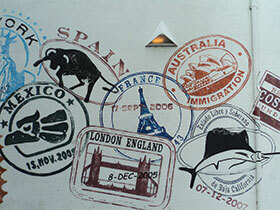 Today, all travel documents are mandated to be machine readable (MRTDs). Further, there are interoperable standards for chips that might be part of such MRTDs. If a MRTD has a chip, then storage of facial biometrics is mandatory, while fingerprints and iris recognition are optional. Over 100 million new MRTDs are issued every year and it is estimated that at least half of them have chips with facial biometrics. Whether we are too influenced by Hollywood visions of artificial intelligence and the ability of systems to run diagnostics on the fly, or whether we simply assume these ‘Big Brothers’ will be or are a reality, most people assume that automated biometric recognition is or will be a reality in future. The Chinese government’s multi-year project to roll out facial recognition in many large cities is an example of the future we all fear. But is automated biometric recognition, such as facial recognition as you walk off a plane, or behavioural biometrics becoming a reality in border environments? Dharwadker says technologies like these are in the prototyping stage and generally deployed post-facto for crisis management. “After the London subway and the Boston marathon bombing incidents, facial recognition biometrics was said to have been applied to the CCTV footage to help identify the perpetrators, and their movements were also studied. “As I understand it, CCTV footage is regularly collected at airports. Behavioural biometrics is still in its infancy, but is fast catching up with fingerprint, face and iris due to its capability of more continuous detection in real-time and its application to both crime and fraud. As of now, I can imagine behavioural biometrics to be a potential disruptor amongst the more widely used physiological biometrics that tend to be static and do not add information on a continuous basis. By the end of 2030, nearly seven billion individuals will pass through airports every year, a very large number that will mandate more technological eyes on people entering and exiting. With the use of modern technology and biometrics a given, it seems to be logical that having a paper book with a visa stuck inside is a bit outdated. And so it is. One of the important components of the new air travel regime, says Dharwadker, will be the Entry and Exit System (EES). “This will go hand in hand with other measures being put in place that include: Electronic Travel Authorisation (in lieu of a paper visa), Advance Passenger Information (API), Passenger Name Record (PNR), check against watch-lists and the Interpol list of stolen and lost travel documents (SLTDs). Such measure will be enforced along with a closer look at other aspects of a travel-related profile, such as tickets purchased against cash, or short stay following long-haul flights. So the principle being applied is to take advance action as much as possible before the person reaches the border. The reality is that border security always has and will be a critical issue for governments, and those with poor or incompetent controls are likely to be playing host to an ever increasing influx of criminals and potentially terrorists – not to mention the poor souls just looking for a better life. There is no simple solution, but by understanding the issues and addressing them head on, much of the chaos we find in border control today can be avoided and order re-established.